It has been awhile since I wrote my last entry due to my final year thesis; just done with it, my apologies. For these past 2 years, I have been a regular customer at Sepia restaurant. It will be closed down in the next 2 years since chef Martin Benn has something new in his mind according to the news. The service this time is warm, helpful, professional and friendly. Thanks Benjamin, restaurant manager, and front of house team. Not mention to waiter that I know since my first visit came to greet me at the end of the meal because he was assigned to service in another wing of the dining room on that night. To celebrate my thesis submission, I opted for a glass of Champagne to kick off the meal but I can’t decide which one should I go for. So I kindly asked one of the sommeliers for tasting both Champagne. He did not hesitate to bring me Champagne by the glass options for me to have a sip. First bottle is Laurent-Perrier Brut Millesime 2006 (JR 16.5/20) and the second option is Laurent-Perrier Ultra Brut NV (JR 16/20). Both are lovely Champagne unarguably. 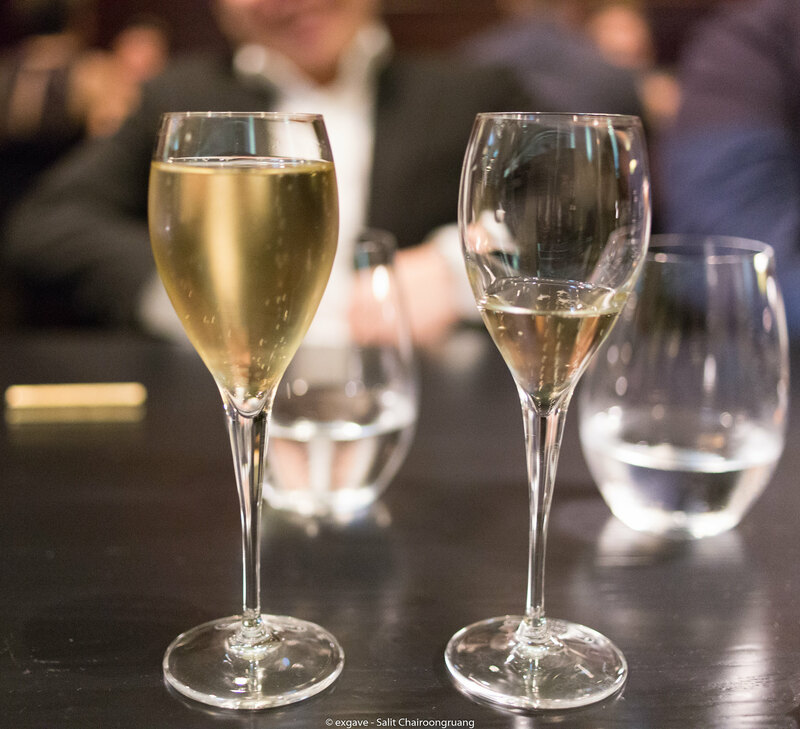 For L-P ultra-brut NV, it’s very attractive on palate due to zero-dosage. It’s really dry, crisp, charming, lengthy, fine mineral and complex with lemony and apricot notes. While L-P Millesime Brut 2006 is completely different from L-P Brut nature. 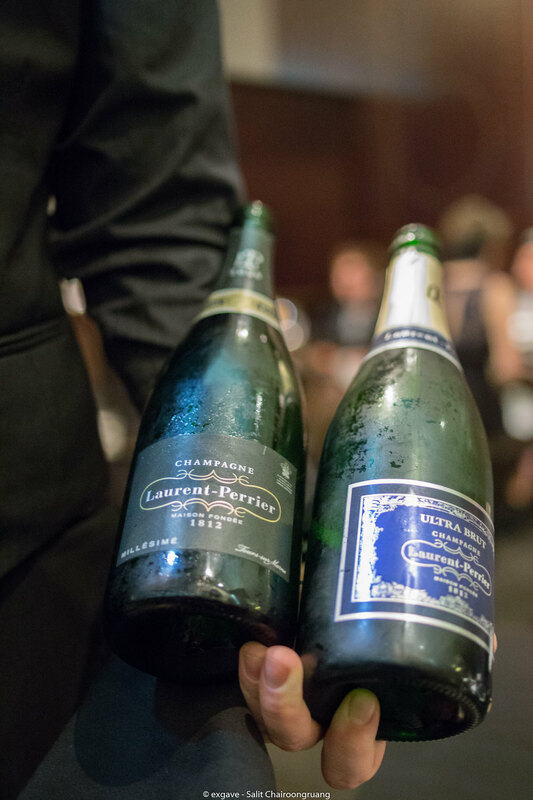 L-P Millesime Brut 2006 is richer and bolder than L-P brut nature. It’s creamy, rich, good mineral, complex and long finish. As such, I selected L-P Millesime Brut 2006. Totally love it!! 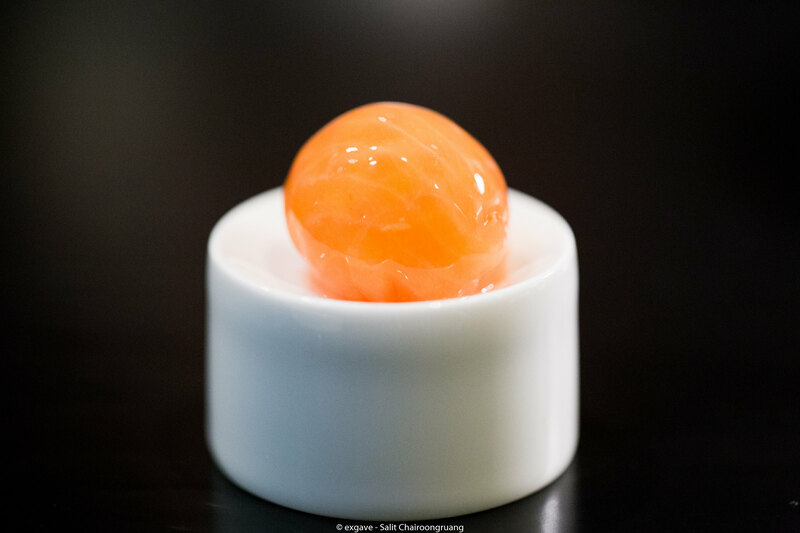 To start the night, series of amuse-bouche was placed down: Saikou salmon, smoked scarlet pawn and Haramasa kingfish. 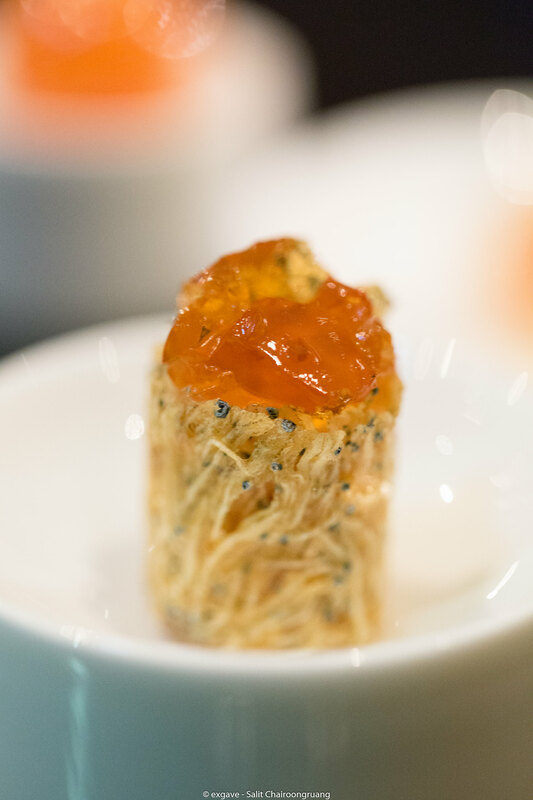 For the first amuse-bouche, smoked salmon roe was hidden inside Saikou salmon. Once you bit it, smoked salmon roe flavour just burst in your mouth. Smoked scarlet pawn is quite pale compared to saikou salmon and haramasa kingsfish. Hiramasa kingfish was enjoyable. 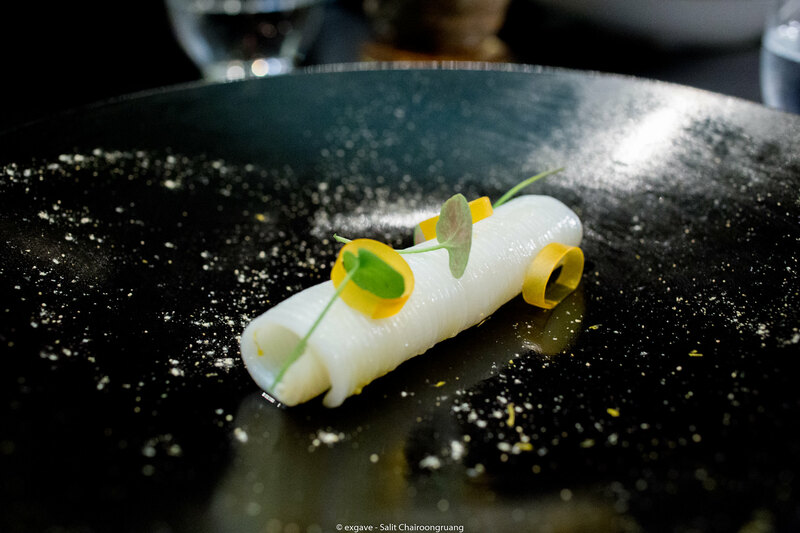 Jamon cream matched perfectly with kingfish and tatami iwashi. 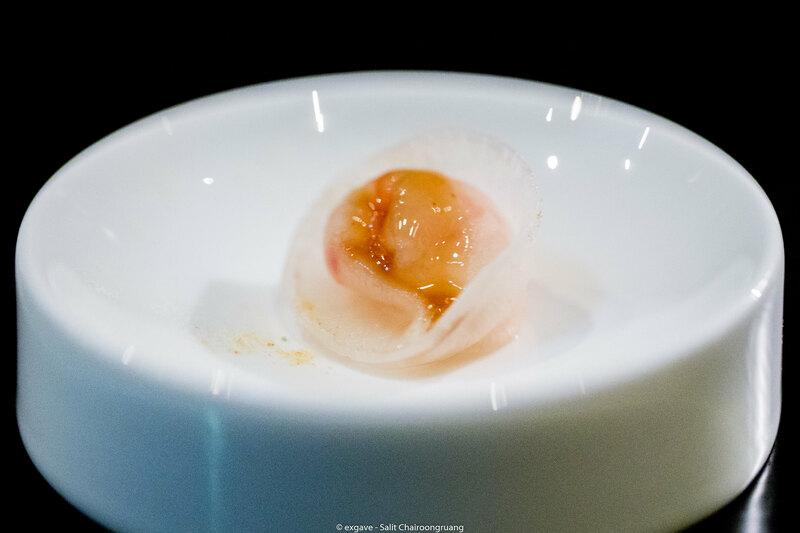 Dashi jelly added delicate subtle flavour to the dish. 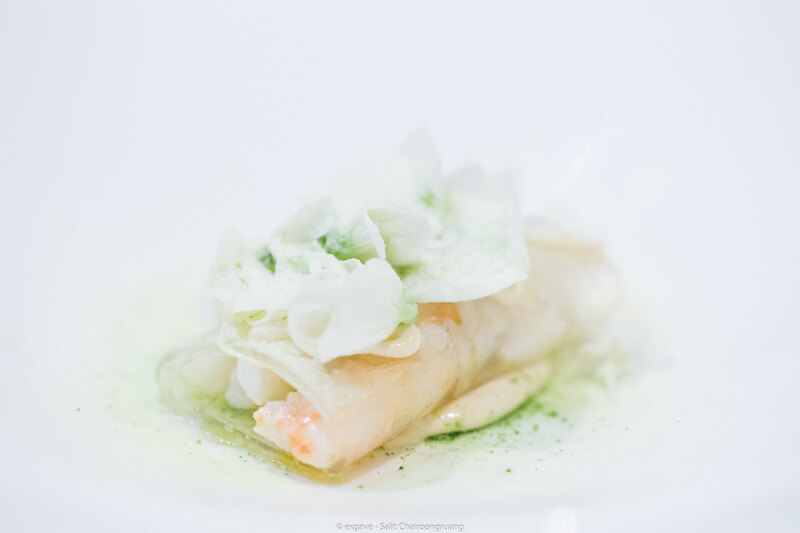 First appetizer was spanner crab, sake vinegar jelly, brown butter emulsion, pea and horseradish. This dish was tangy and sour with gentle touch of spiciness from horseradish. The crab meat was so moist and tender. The reason why crab meat was moist is it was cooked in butter at 70c. I have to say that the side-table platting and the presentation of this dish is truly beautiful. Next course was a complementary from the kitchen: Port Lincoln squid, miso cured egg yolk and wasabi flower. I was stunned by a beautiful knife skill of the chef. Chef mastered the knife brilliantly; he cut just through the meat yet not tear the squid sheet apart. Come to the taste, it was beautifully cooked and seasoned. 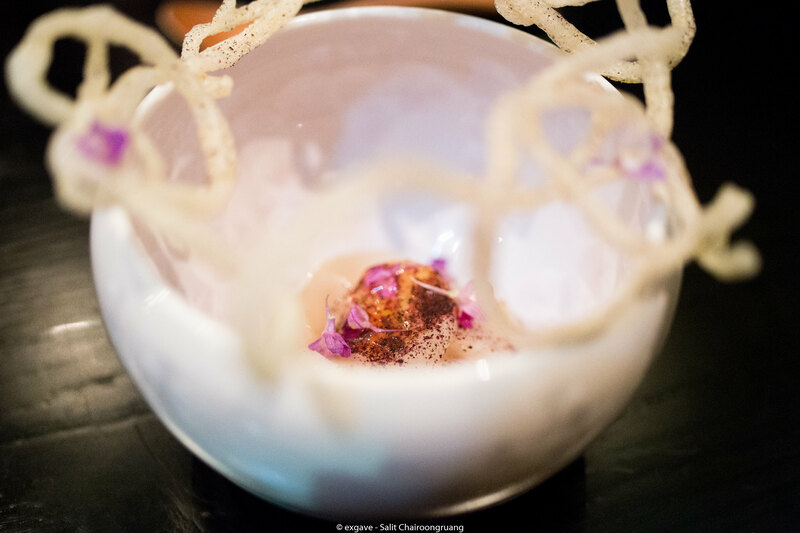 Sea scallop, macadamia nut cream, quail egg, umeboshi, scallop crackling linaria was served next. I was stunned by its beauty and it did taste as good as it looks. 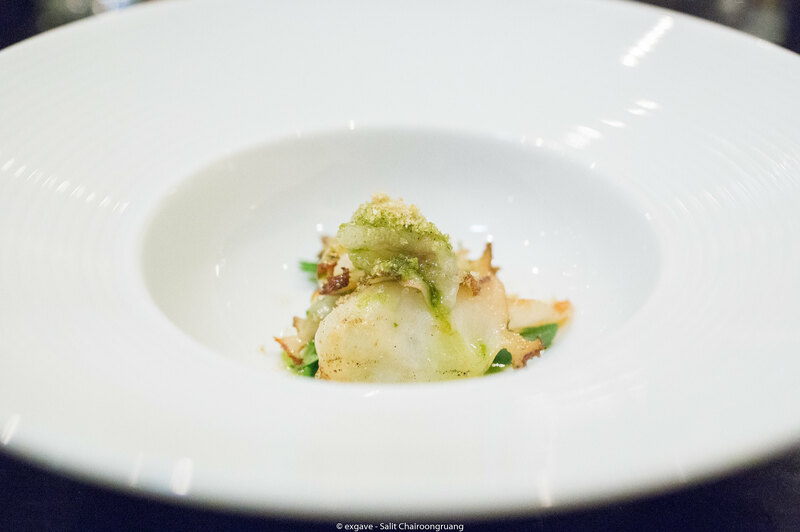 While enjoying this sublime scallop, milk bread with iconic spherical butter was brought to us. 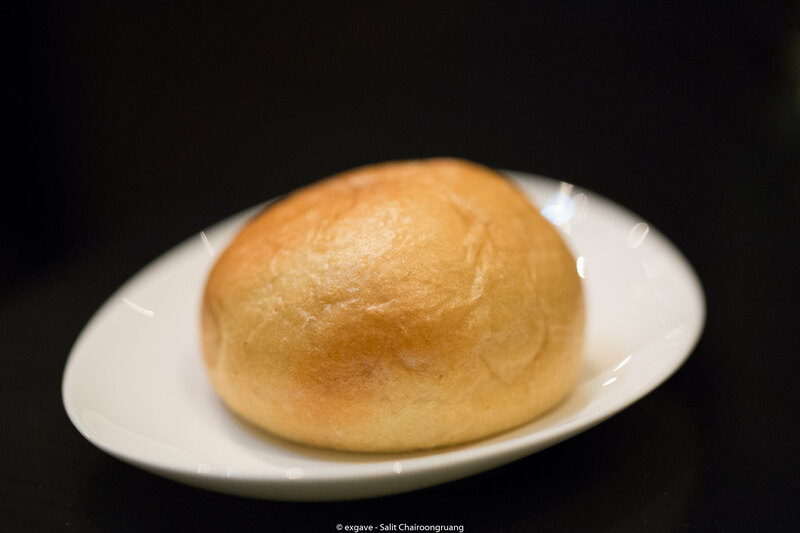 Same as usual, the milk bread did its job beautifully. Charcoal grilled black lip abalone, sea vegetables, dashi cream, lardo, wakame oil was brought to us as a complementary from the chef. The abalone texture was not smooth and tender but quite rubbery in a good way. It tasted quite nice but at a normal level. 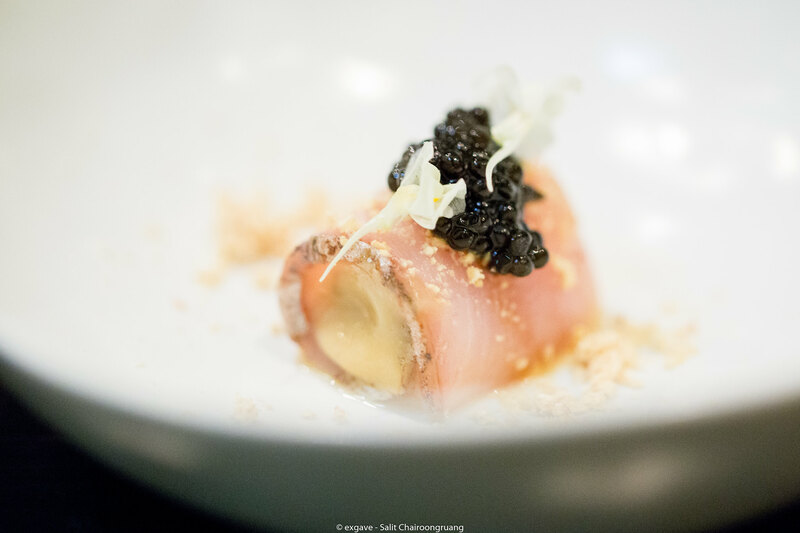 Bonito, roasted chicken cream, smoked soy and caviar hit the spot; mild saltiness and creamy. Seared scampi, smoked bone marrow, cauliflower, yuzu kosho, toasted milk bread, citrus soy and sobacha.was truly majestic. Every component in this dish boosted up the flavour of scampi. 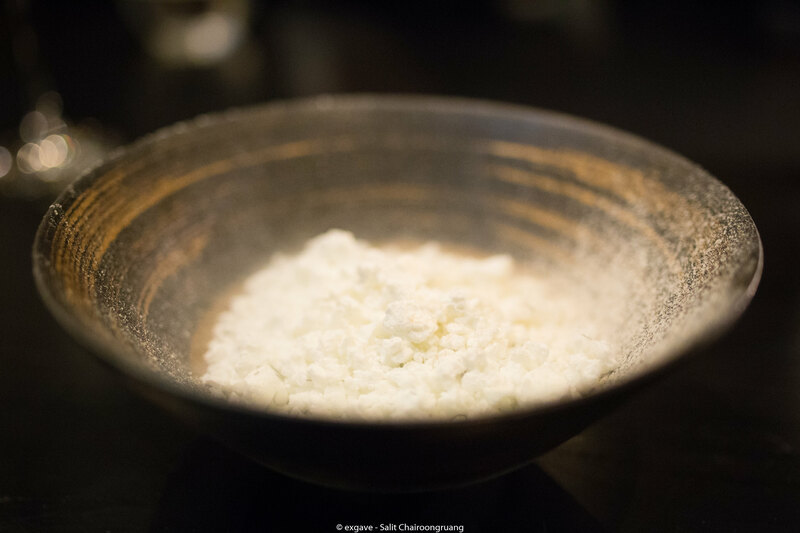 Acidity from yuzu koshu and citrus soy balanced out the creaminess from warm cauliflower and bone marrow fabulously. Totally love it!! 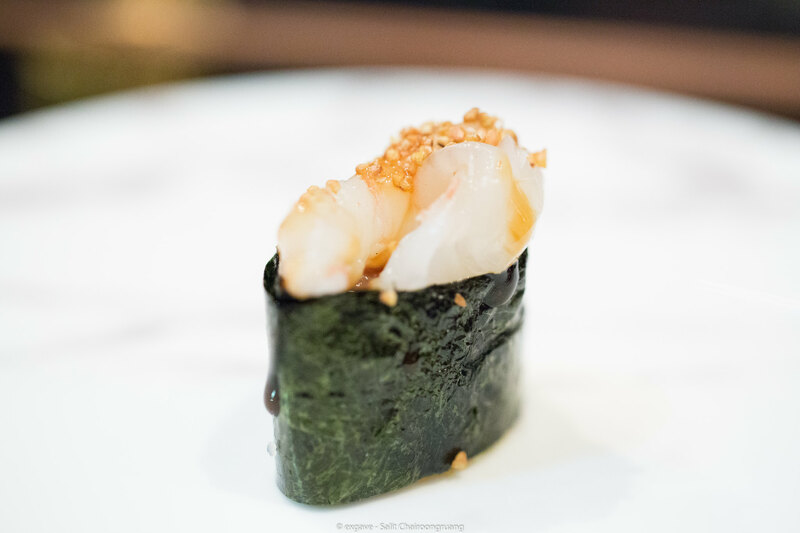 Shiitake sushi, again, was a complementary from Sepia and was absolutely stunning. Mushroom hollandaise sauce was a killer. It went along with shari (sushi rice) magnificently. The hollandaise was super rich and creamy with beautiful mushroom flavour and aroma. A must at Sepia indeed. First main course was Roasted Aylesbury duck breast, lemon aspen, sheep yoghurt, mulberry, vinegar, sorrel. The duck was cooked to perfection; moist, tender and packed full of flavour. 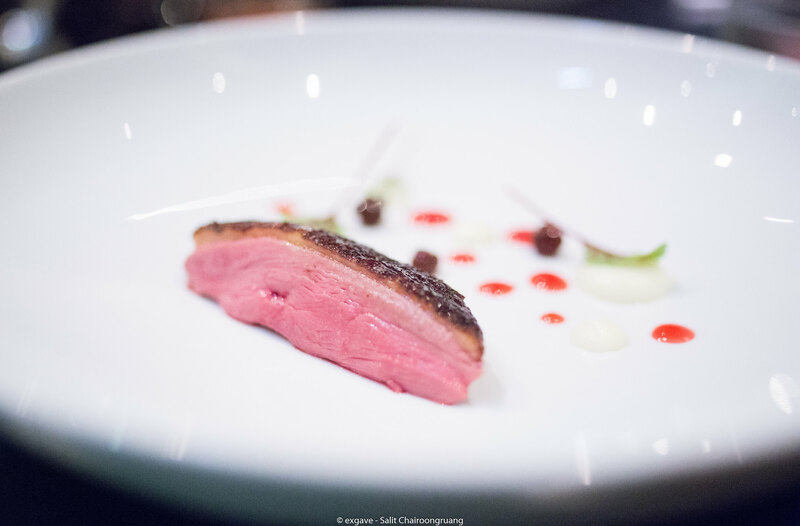 But still unrivaled to majestic duck at Sixpenny. Mulberry vinegar went along with duck breast beautifully. 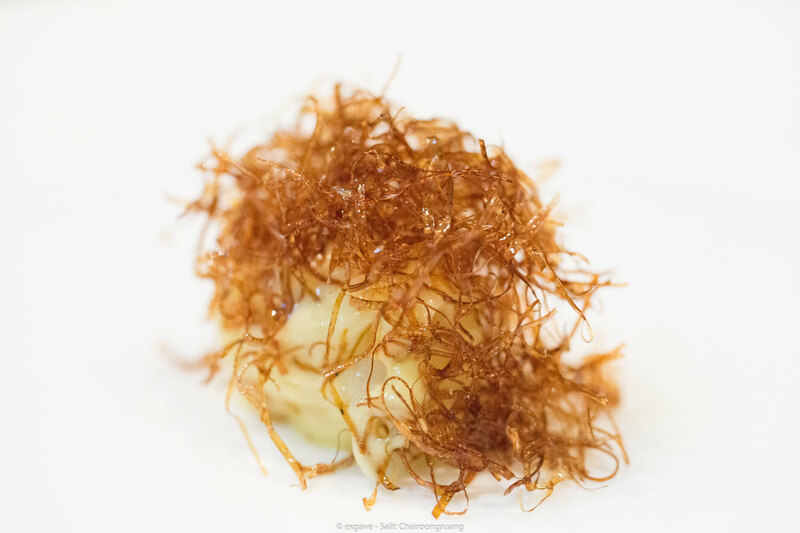 Mulberry vinegar gave this dish another dimension of flavour. 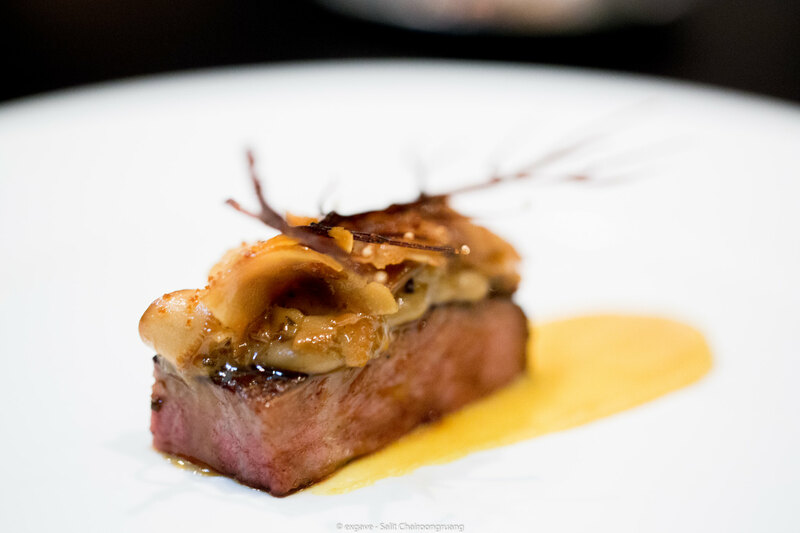 Chargrilled David Blackmore wagyu, roasted Jerusalem artichoke and miso, pine mushroom, kombu was served as a final main dish. Sweetness from miso paste went along with wagyu superbly while pine mushroom improved texture of the whole dish. Before commencing desserts, I opted for a Sepia’s signature cheese course and it did taste amazing as usual. Pre-dessert was serve accordingly. Another surprise from Sepia team again, this time was ‘the Pearl’. 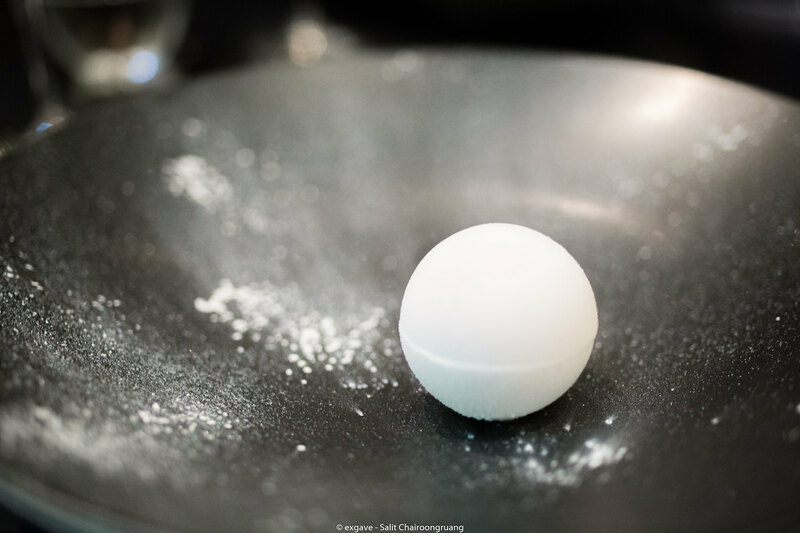 The Pearl is a finger lime sphere filled with ginerade. 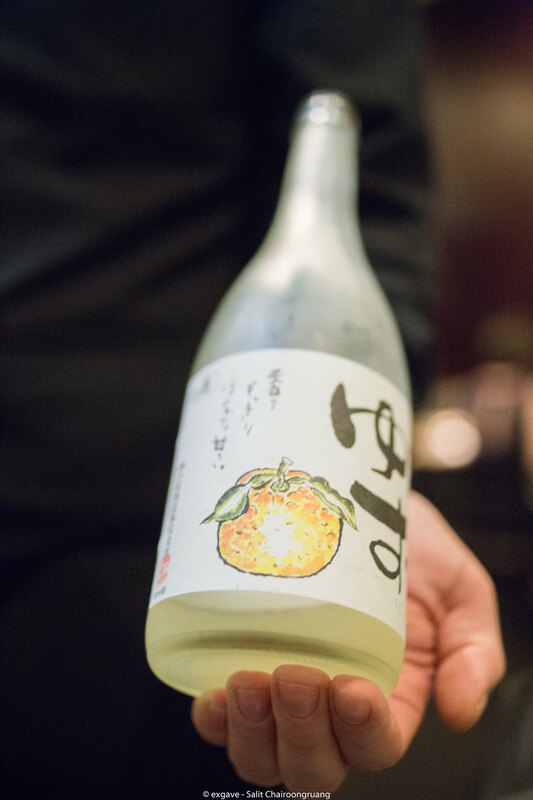 To accompany with the Pearl, sommelier carefully selected Umenoyado Yuzushu. The Pearl was so refreshing; it washed previous flavour on the palate away. Umenoyado Yuzushu was well-balanced and mellow with zero hint of bitterness in background. The best yuzushu in my entire life. 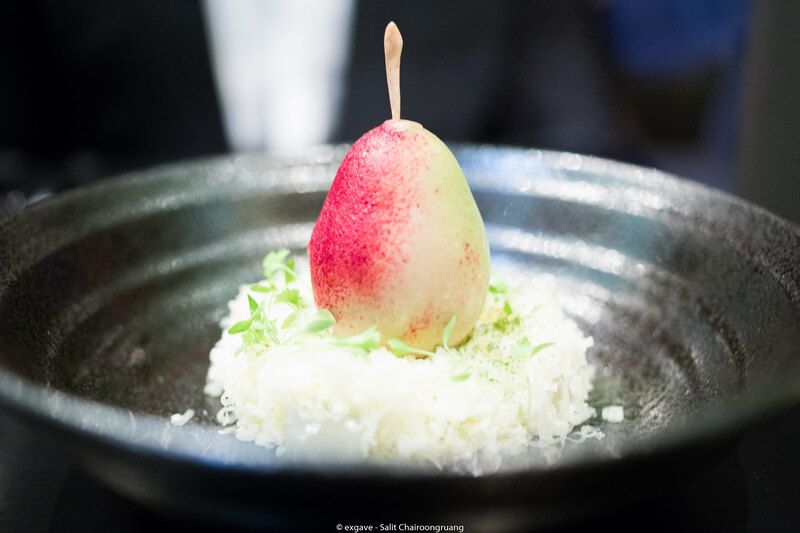 Caramelised apple cream, pecan, frozen sour apple, miso sherbet and fennel was served. 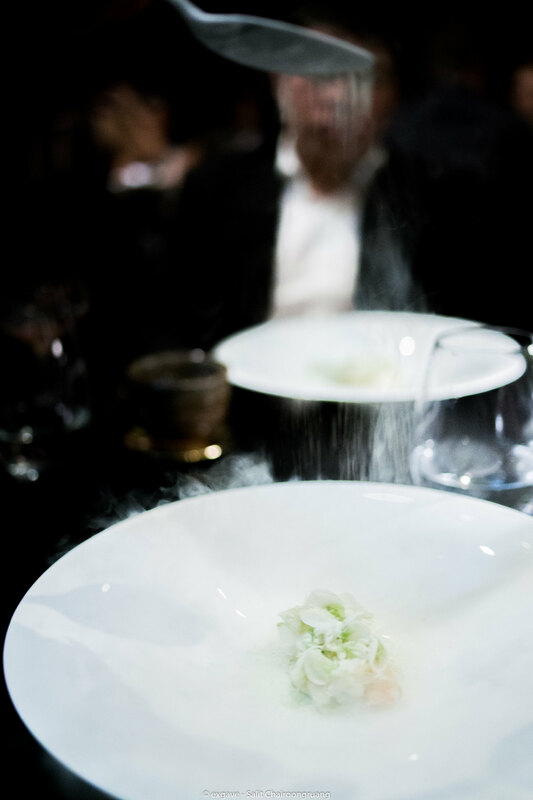 Miso sherbet was truly mind-blowing. It was rich, creamy and umami. 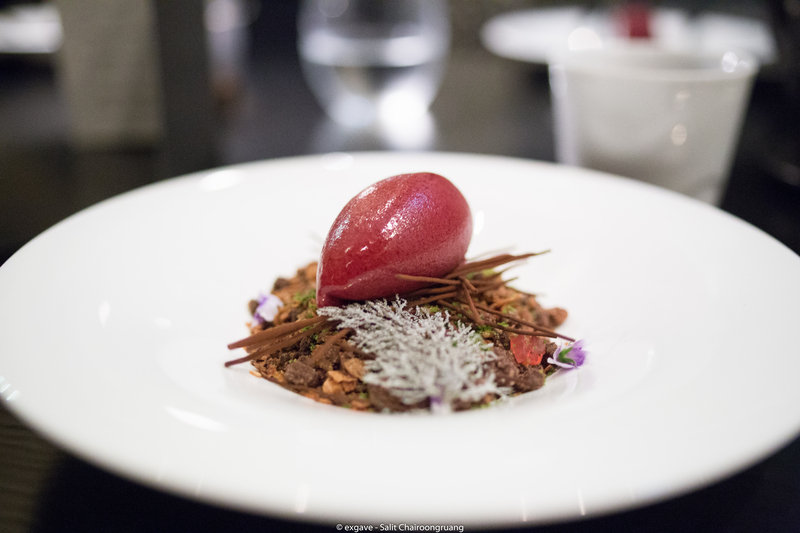 Last dessert, of course, it was Winter chocolate forest: Soft chocolate, hazelnut and almond, violet crumble cream, blackberry sorbet, rose jellies, green tea, licorice, chocolate twigs, bronze fennel, native violet. 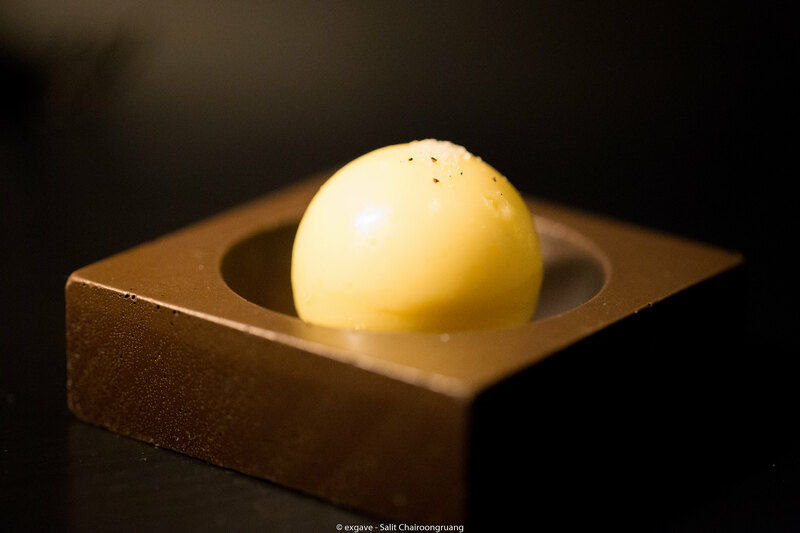 Sepia experience won’t be a complete one without this stunning iconic dessert. It was super rich, creamy and savoury. Another complementary glass of 2012 Disznókö ‘Késői Szüret / Late Harvest’ Furmint (CT 89) was well chosen to pair with this chocolate forest. This beautiful dessert wine balanced out the richness of the chocolate forest brilliantly. It had gorgeous note of apricot, honey suckle and peach with long finish but still lack of complexity. I wish I could come once more before it’s closing its door.